Wow what an awesome way to have a party!! My son fully enjoyed every minute of gaming with his friends! 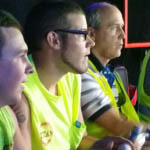 Buckeye Video Game Truck was amazing and the coaches were great. Thanks for making the party memorable for our son! My son & his friends loved it!! Best thing ever! Arrived early and kept the kids entertained. The guys did a great job helping the kids out if they had any questions. Would definitely recommend this to anyone looking for something different to do!! A world-class, top notch video gaming experience for kids. 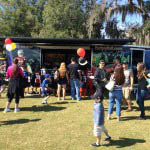 Staff is really nice and the truck is well kept...a real crowd pleaser. Highly recommended. Great school event! The truck showed up on time and was very clean and inviting. The staff was excellent and interacted well with students and volunteers. Would definitely recommend! 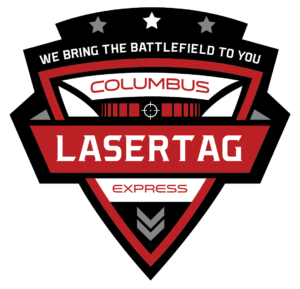 It’s the Ultimate Birthday Party Video Game Truck and Laser Tag Party in Columbus,Ohio and surrounding areas! 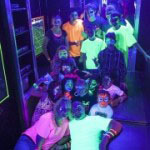 Our amazing Laser Tag Parties are a BLAST! Realistic “combat” action right in your back yard, school, gymnasium – almost anywhere! 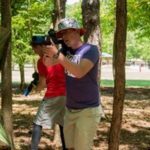 We bring the Laser Taggers, the pop-up bunkers and our awesome Game Coach who instructs all players prior to game play! We can rotate players through for even the largest groups! We can fit the whole crowd…stadium-style seating allows up to 28 guests inside! We have the greatest games from XBox 360 and XBox One, Wii and Wii U, and Playstation 4! Summer or Winter, day or night, it’s always comfortable in here…we are climate controlled, and with our on-board generator, we’re self-powered, too! Our Game Coach will make sure the kids have a blast and the parents get a break! Our amazing mobile video game trailer will blow your guests away! 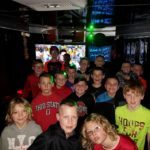 We have the best birthday party idea in all of central Ohio, including Columbus and Franklin County and Delaware County.